Item # 314898 Stash Points: 9,995 (?) This is the number of points you get in The Zumiez Stash for purchasing this item. Stash points are redeemable for exclusive rewards only available to Zumiez Stash members. To redeem your points check out the rewards catalog on thestash.zumiez.com. 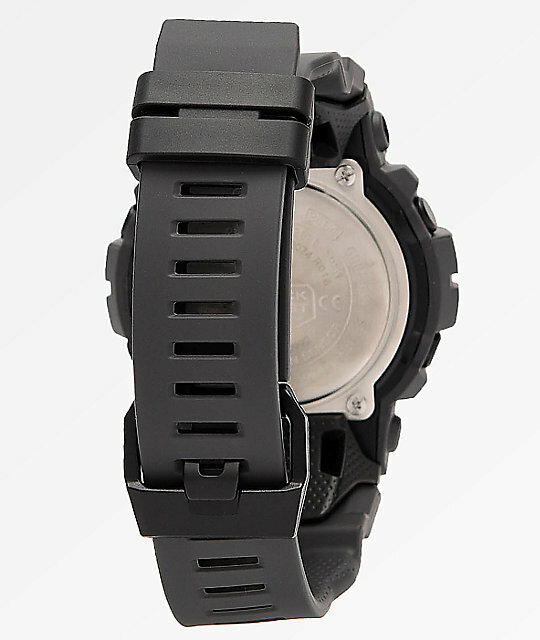 Durable and sleek, the G-Shock GBD800 Grey Watch is a must-have accessory. 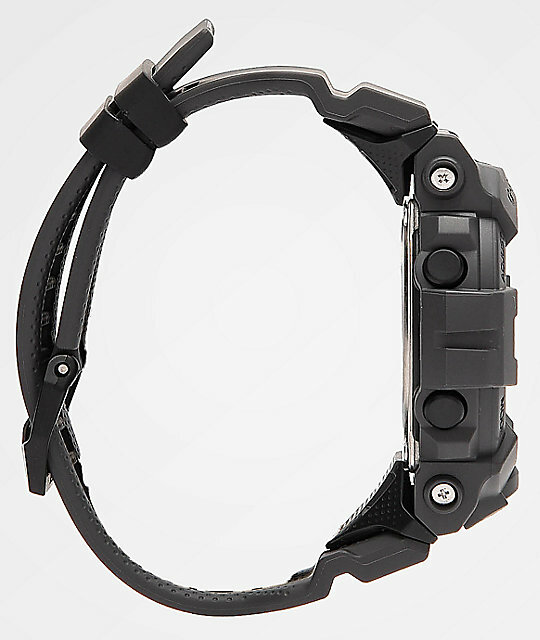 Water-resistant to 200 M and shock resistant as well, this watch is meant to last. Compatible with the G-Shock app via Bluetooth, this tech-savvy watch also comes with a countdown timer, stopwatch, alarm, LED backlight and pre-programmed calendar through the year 2099. 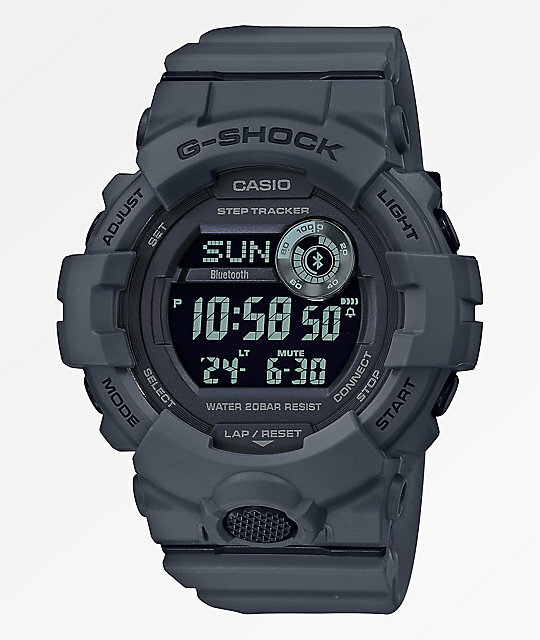 GBD800 Grey Watch from G-Shock. Mobile linking capability via Bluetooth and G-Shock app. Case and band material: resin. 1/100th Second Stopwatch with a Speed Indicator. LED Light (Super Illuminator) for the face and digital display. Recorded data and memory capacity: up to 120 records. Countdown timer range: 100 minutes. Size: 54.1 x 48.6 x 15.5mm, Weight: 59g.